I used to think that Jesus’ command to make disciples simply meant teaching people certain beliefs about God, helping them to accept Christ as Lord, and then educating them in doctrinal truth later on. Though all these are important, this way of defining discipleship showed that I, like many westerners, approached the gospel primarily as information. Unfortunately, such an approach tends to produce efforts at evangelism that are thinly disguised power grabs. We try hard to foist our belief system onto others, debating with people until they declare our way the best. An eastern view of discipleship seems far more in keeping with the gospel. The eastern view encompasses the understanding that Jesus died for our sins and that belonging to him involves repenting and receiving him as Lord. But it also recognizes that Jesus lived transparently in front of his disciples in order to teach them how to live. They, in turn, were to live transparently before others, humbly teaching them the way of Christ. This approach involves not just information but transformation. God’s goal isn’t to simply fill the world with people who believe the right things. It is to fill the world with people who shine with the brilliance of Christ. Shepherding in Israel is a wonderful metaphor for of this kind of discipleship. 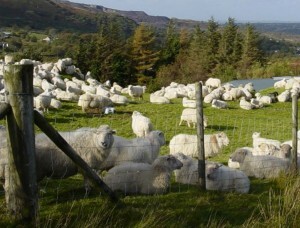 In many countries, sheep spend their lives in fenced-in pastures where they spend most of their time grazing and milling about. Many Christians seem to think that the great commission is a matter of getting sheep “into the pen” —inviting people to accept Christ, the high point of their spiritual lives. In Israel, however, where grass has difficulty growing in the arid soil, sheep must know their shepherd, following him obediently from pasture to pasture. There, shepherding is a much more active task. Judith Fain is a Ph.D. candidate at the University of Durham. As part of her studies, she spends several months each year in Israel. One day while walking on a road near Bethlehem, Judith watched as three shepherds converged with their separate flocks of sheep. The three men hailed each other and then stopped to talk. While they were conversing, their sheep intermingled, melting into one big flock. Wondering how the three shepherds would ever be able to identify their own sheep, Judith waited until the men were ready to say their goodbyes. She watched, fascinated, as each of the shepherds called out to his sheep. At the sound of their shepherd’s voice, like magic, the sheep separated again into three flocks. Apparently some things in Israel haven’t changed for thousands of years. Just like these sheep, what distinguishes us is not so much the “pen” we inhabit, but the shepherd we follow. Some sheep come running as soon as their shepherd calls, but some struggle to obey his lead, going astray whenever temptation strikes. It takes a lot more energy to follow a wandering shepherd than to be cooped up in a pen! But we are called to be disciples of a Rabbi who is always on the move, one who wants us to go with him, making disciples to the ends of the earth. We need to learn how to recognize his voice, to go where he wants us to go, and to serve and imitate him so that we can share his good news with the world. Many of us see disciple-making as something that only happens at the “fence.” We view our primary job as getting people into the fold. But a lot of sheep are inside the fence, but just milling about munching on grass. They need to be brought closer to Christ by becoming his true disciples. And what about people who aren’t at all interested in Jesus, or those who are downright angry or hostile toward the church? How are we supposed to relate to them? Perhaps the solution is to live transparently around everyone regardless of their faith or lack of it. We can share openly and sensitively about our own struggles and what Christ is doing in our lives without worrying so much about where people are, relative to the “fence.” Then every bit of our lives will become a source of witness, no matter who our friends are. Sometimes we’ll open the gate and let someone in. But just as often we may find ourselves helping other believers become more effective disciples. In the process, we will discover ourselves being discipled as well. The key is to stay close to Jesus, living transparently as we seek to follow our rabbi. This article gave great insight on the different views of what discipleship is. Traditionally we think of making disciples of Jesus as teaching people certain beliefs about God and helping them to accept Jesus, and later on learn more about the truth we have come to follow. An eastern view is the understanding that Jesus died for our sins and that belonging to him involves repenting/receiving him as our Lord and Savior. Along with that is the realization that Jesus lived transparently in front of his disciples in order to teach them how to live, and we, in return, are to live transparently before others, humbly teaching them the way of Christ. I really resonate with this because I think it is important to be honest with others about our imperfections as Christians, and to be humble when we teach others about Christianity because we are not all-knowing people. We just have the blessing of hearing about an ultimate truth that leads our way of life. Another great concept from the article is that discipleship involves not only information, but transformation. Not only does God want us to know the right things and believe in him, but also to transform the world with Christ and his brightness to be shone without. I also loved the concept about the fence. Letting people into the fence then they are all the sudden okay and perfect with the concepts of Christianity, but the reality is, like sheep, we can still stray away. I think that everyone needs guidance from others and a wiser mentor to help through the journeys of faith and learning how to live the right way for Jesus. Ultimately this is what discipleship is. I love the metaphor about the sheep and the shepherd. About how our only job is not just to get sheep “into the pen” but to be actively be following our shepherd, our rabbi, Jesus. We can’t just give people a ton of information about Jesus and the Bible and God’s love, we have to set an example of Christ’s love through our own lives by following him and his example. I really liked the phrase, “not just information but transformation”. This way we will not be in a world where people know the right things, but in a world where people are showing the love of Christ through their lives. I also liked the part about knowing the shepherds voice. I need to be able to 1. realize when Jesus is calling me to something but also 2. actually obey his calling and follow him to whatever he is going to lead me too. I like how you compared information and transformation as two separate things in aspect to our faith. I thought it was interesting how you explained information as the forcing of the right beliefs on others while transformation was explained as us as individuals changing in order to act more like Jesus, our shepherd. Yes we can learn every fact about and in the Bible but words without actions is hypocritical. Being right is not always the most important thing. I really liked how this is comparing following Jesus to sheep following their shepherd. This picture shows me how we should be following Jesus. I love how the sheep immediately follow their shepherd at the sound of of their voice. We often do wander off and don’t listen to Jesus’ call to follow Him. It shows how we should be following Jesus and not wander even though it may be hard at times. I liked how it talks about that the approach doesn’t just involve information but also transformation. This is a challenge for us to live transparently in front of others even though it may be hard. We should live by showing trying to show Christ’s love through us. I find that the article contains a lot of truth. Christian often forget about the importance of the shepherd and focus on the pen. We think discipleship is about teaching people about Jesus and opening the pen for them. But in reality, its more than that. As the article puts it, “what distinguishes is us is not so much the “pen” we inhabit, but the shepherd we follow.” Its very important for us to remember that discipleship is following our Shepherd and being transparent like him. The transformation and information piece of this article is something I really agree with. As westernized Christians, we can get lost in trying to figure out all the information and we may believe that knowing everything can solve all the problems and help us become better Christians. However, if we live more transformed, it shows how we love Christ and want to live like Him rather than just showing that we know information. This way, we may know the information, but also act on it. Another thing that really stuck out to me is how important it is to know the voice of our Rabbi and to follow Him. When we put our trust in Him, listen to His voice alone, we are lead to the best things in life. At times, they may seem difficult. 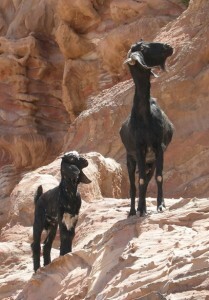 Like if a shepherd leads sheep through some rocky, steep terrain. But, on the other side is an abundance of green grass and fresh water. We have to be able to trust God even during the rocky terrain to know He is leading us to a place we need. I really liked this article and how it connected our faith to sheep following the voice of their shepherd. It’s so amazing how the sheep knew their shepherd’s voice and followed him even when they met up with two different shepherd’s groups of sheep. We should be listening for God’s voice in our lives and following after Him. By recognizing and following God’s voice, we will go where he wants us to go and be able to serve and imitate him. As westerners, we often approach the gospel as information and then try to throw our belief system at others. We try to put people in pastures like we do with sheep. But, our goal isn’t to get people into the pen, it’s to bring them to follow Christ and become his disciples. We need to live transparently in front of others, despite this being a challenge. We can do this by showing Christ’s love to others through our lives. This article glows with ancient wisdom. Our technology and other man made structures blind us to natural and supernatural realities. Our Socratic reasoning and skepticism in a world of naturalism work like blinders on a work horse. Good stories like this help take off the blinders and see God’s viewpoint. Several things jump out at me that have not already been emphasized by all the responders. (Wish there was a “Like” button!) First is that the sheep and Shepherd are both alive. Resurrection truth helps us know that HE is ALIVE and active in all who are indwelt. 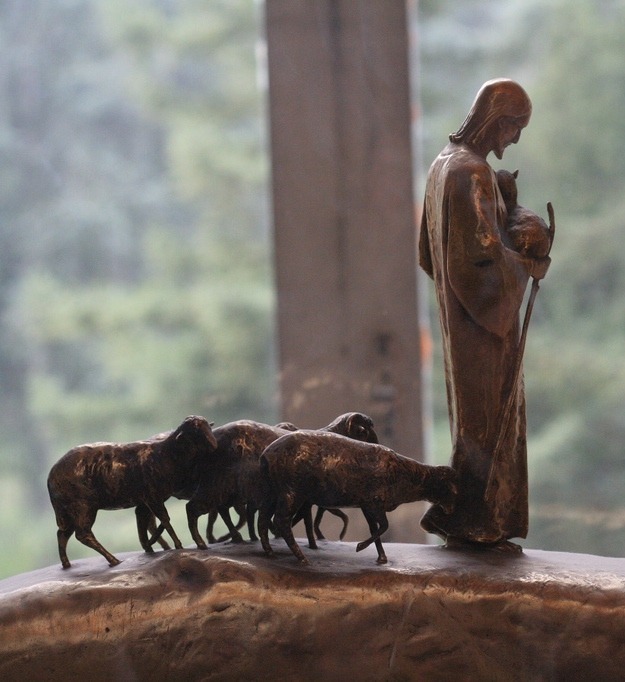 Living with our Shepherd is not a matter of abstract truth learned from some book as if we were in high school, but of relational truth, two eternal beings (God and Man) alive and interactive in response to each other. The Shepherd turns his head at the BAAA of the sheep. The sheep lift their head at the voice of the Shepherd. Both hear, both see, both respond. Our literacy based Bible study methods learned from secular education do not lead to this interaction, but to dead faith in many cases. 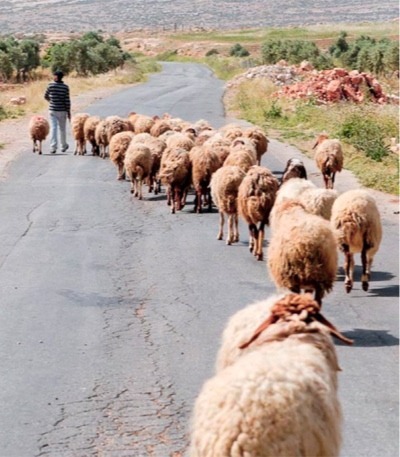 This story of 3 shepherds calling out sheep that follow teaches the orality of the call, the loud unique voice of each shepherd is above the ambient noise. I teach all my disciples to read aloud, not silently, if possible. In our gatherings of believers a large part of the meeting is in the oral reading of Scripture while listeners do not look at the words. Literacy processing locks us into a kind of logical activity the world has imposed. Just listening to the Word, to His Story, becomes a whole soul experience in which The Holy Spirit writes on our hearts more directly. This is especially true of the majority of men who are oral/visual learners. 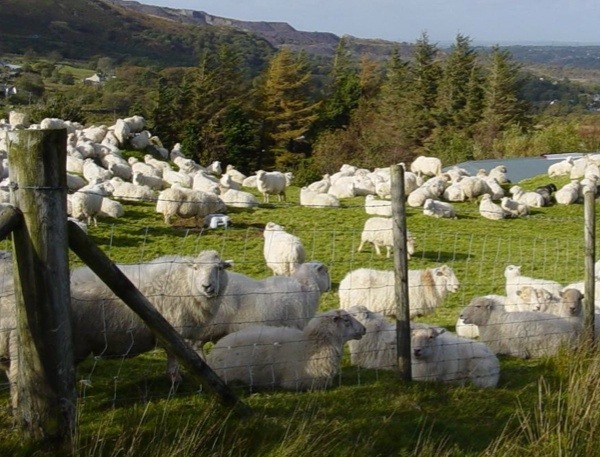 “My sheep hear My Voice” is widely thought of as merely internal, but it never was so in the early church. The Apostles, especially John, quoted Jesus, Who saw in the shepherding experience a vivid illustration of the way God speaks and leads. He sums it up with “without Me you can do nothing” and Paul declares “I can do all things through Christ!” What a wonderful life comes to the sheep who hears His voice! This life comes to all who submit as Jesus says He did (John 5) “I do not do anything on My own.” Check it out! I think of evangelism as a woman having a baby and discipleship as caring for that baby in such a way that it becomes an adult who cares for others. Nobody would think a responsible thing for a husband and wife to have babies and not care for them. Very good thought – thank you.